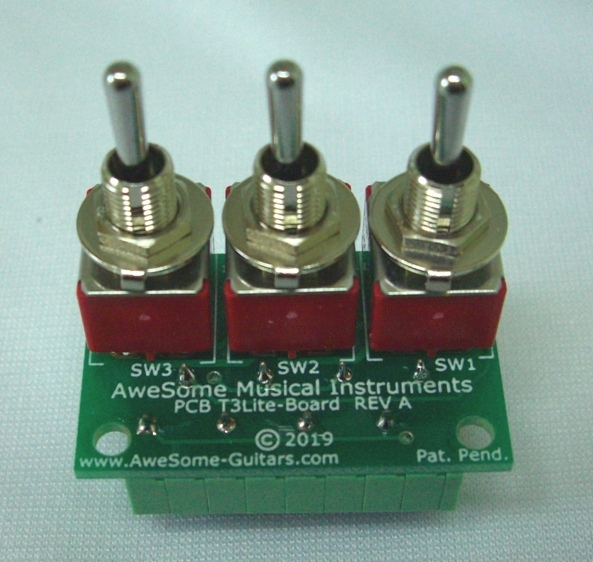 This assembled and tested Pickup Switch UpgradeTM product (also known as T3-Switch) gives you 13 Pure Analog pickup tones on any instrument with three separate pickup coils (either three single-coil pickups; or one 4-wire humbucker pickup and one single-coil pickup). This is a do-it-yourself project that includes everything you need to install this upgrade into your right-hand or left-hand electric guitar or bass instrument. 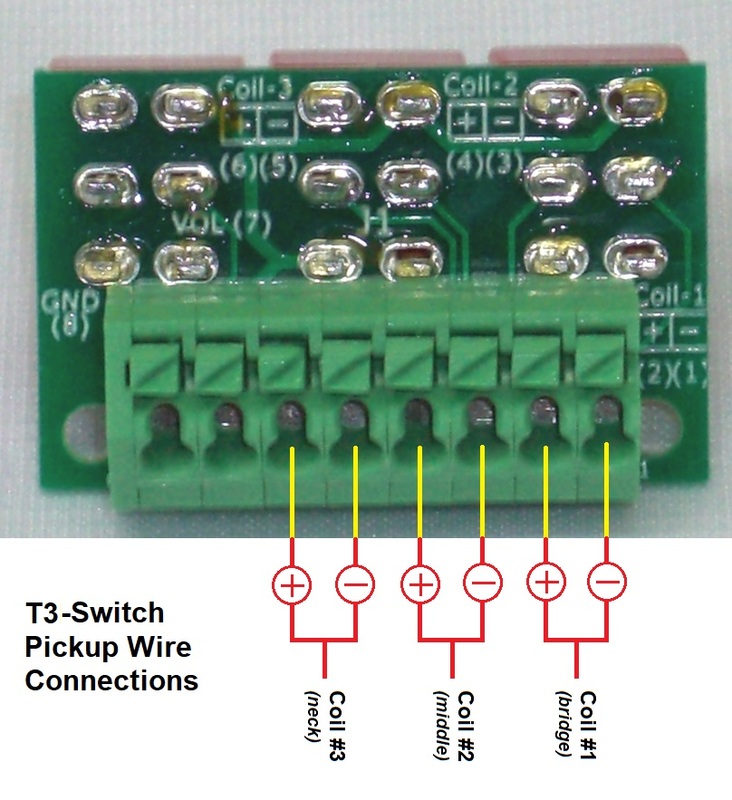 The group of switches (SW1, SW2 and SW3) are ON-OFF-ON switches used to turn an individual pickup coil Off and On. The middle position of each switch is Off. The down position turns the pickup On (in normal-phase) and the Up position turns the pickup on (in reverse-phase). This page has MP3 audio clips to let you hear the result our T3-Switch upgrade offers you. The first 13 tones are produced by the T3-Switch. You get one of the following.